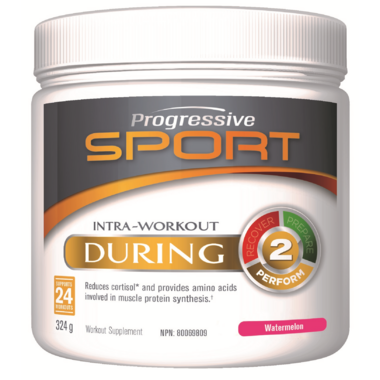 Progressive SPORT DURING is an ULTRA CLEAN and highly efficacious intra-workout supplement, it helps to keep your body fueled to stay at your peak. From the moment you begin, your energy stores drain bit by bit, your muscles burn and your body and mind are weakened from the buildup of stress hormones but with the right fuel, you can perform at your best from beginning to end. Featuring 7.5g of Fermented BCAAs, 2g Fermented L-Glutamine and much more to help you fuel, push and quench. When to Take It: Add DURING to water and sip while you workout, compete or play to keep your body in high gear—longer.